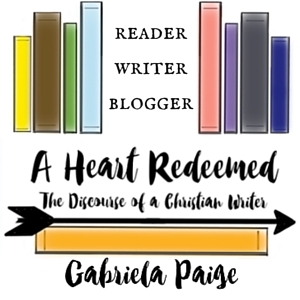 Purposeful Pages is a monthly link-up designed to unite bloggers on answering questions about life, blogging, the Bible, writing, and books. Yay!!! It is once again time for the Purposeful Pages Link-Up!!! I just love doing this. If you haven’t done it yet, you should. All the information on it is on Amanda and Hannah‘s blogs. It is really fun and you’ll enjoy it immensely. How have you been growing spiritually this month? What has God been teaching you? Ugh, I’m terrible at answering these types of questions. I never really know what to say, because usually I feel like, spiritually, I’ve been in the same place for awhile. But this past month has been a rough week. I’ve found myself spending more time in the Bible and prayer, because I just need to lean on God. I can’t rely on myself. I am nothing without God. I will fail without Him. When you’re under stress, what actions do you take that help calm you and keep you sane? Well, when I was getting stressed about my schoolwork, I just played music that I liked while I worked it out. If it was something that I had to read, I’d listen to soundtrack music. If it was something like math, I’d listen to something a bit more fun (aka Hamilton and NF and Twenty One Pilots). Other times, I’ll just take a break and step outside. Nature really does have a calming effect. Who are some people that inspire you, and in what ways do they do that? ALEXANDER HAMILTON. He wrote fifty-one essays defending the Constitution in six months. It is really motivational to think on that when I’m doing school. Brandon Sanderson. 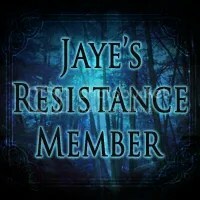 His fantasy series, The Stormlight Archive, is so amazing and so detailed and I am just in awe. I can only hope to be half as good in my own writing as him. Have you learned any tricks this past month that have helped you in your blogging journey? Just keep writing? 😛 No, I don’t think that I’ve learned anything new on blogging, in the last month at least. What is it about a book that makes you keep on reading? If you’re a writer, how can you incorporate that into your own books? Great, well developed characters. I’m so into the type of dark and gritty characters. The ones that probably have tragic and painful pasts. The ones that probably aren’t “good” people, at least, until later. I also love a lot of mystery and intrigue (especially if it concerns the characters). Oh, I love to die for plot twists! Though they kill me, I love them. Also, I confess a love for lots of death. Especially when it’s really important secondary characters. It may be painful, but I love it so much more. How do I incorporate it into my books? I write a lot of plot twists and write terrible pasts that will make people cry. Oh, and by adding lots and lots of death. What’s a book cover (or album, movie, etc.) that describes your life right now, and why? Can I say Illuminae??? Because I must say my life is a explosion of schoolwork, blogging, reading, social media, tv shows, and I haven’t even gotten to adding writing to the list. It is such a tangled mess right now and sometimes I just want to sit and do nothing. I found this song only a few days ago, but it is so me right now. I have started to really love this music group. If you’re a writer, how do you see yourself incorporated (most of the time unknowingly) inside your stories? I’ve never really thought about that. On thinking it over, I do see myself a bit in my works. Some of my characters deal with stress and fear and trust issues. How have you seen aspects of God’s character through other people recently? Many people at our church have been giving meals to a family who recently moved here. My dad mowed our neighbor’s lawn because they had just moved here. I have a group on Twitter where we are all praying for each other and any specific prayer requests anyone has. It is so amazing and comforting to know that people care. My friend Sophia has been so willing to chat with me about all the craziness of life and the struggles I’ve had these first few weeks of school. I hope that I can be as much a friend to her as she is to me. How long, on average, does it take you to put together a blog post? Are you the morning person working at 5 am, the afternoon blogger, or the night owl up until midnight trying to throw things together? Um, between one and a half hours to three hours. It really depends on the type of posts. I actually write my posts in the evening/night (pretty much whenever I finish school), because I’d rather stay up late reading or watching tv instead of rushing to get a post done for tomorrow. I should do my posts in the morning though because I am a morning person. So what did you think of my answers? Would your answers be similar?